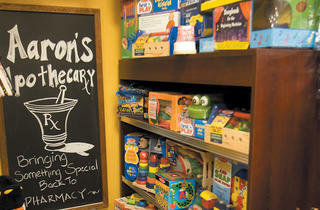 A boutique pharmacy, Aaron's Apothecary, opens in Lincoln Park. 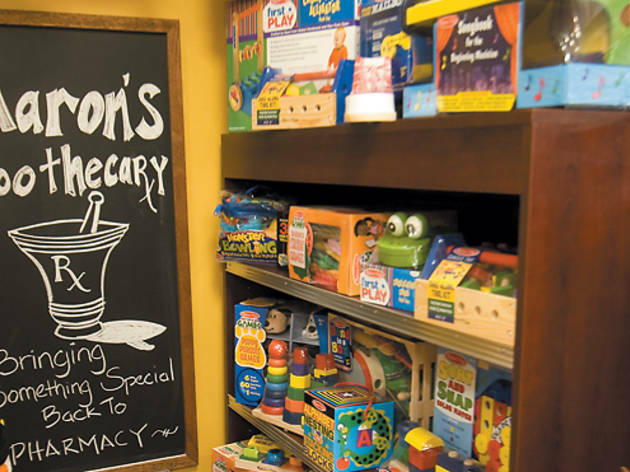 BEYOND THE BOTTLE While you can count on finding your pharmacy basics (Tylenol, Band-Aids and the like) at this new Lincoln Park apothecary, it’s not the shop’s bread and butter. Instead, the 2,000-square-foot storefront, opened by a former Parkway Drugs pharmacist, features everything from herbals and homeopathic supplements to MALIN + GOETZ cosmetics and Jonathan Adler homewares, along with a fully functioning pharmacy. You’ll even find hand-knitted dog sweaters among the mix, just so no one feels left out. 2338 N Clark St (773-360-8595, aaronsapothecary.com).